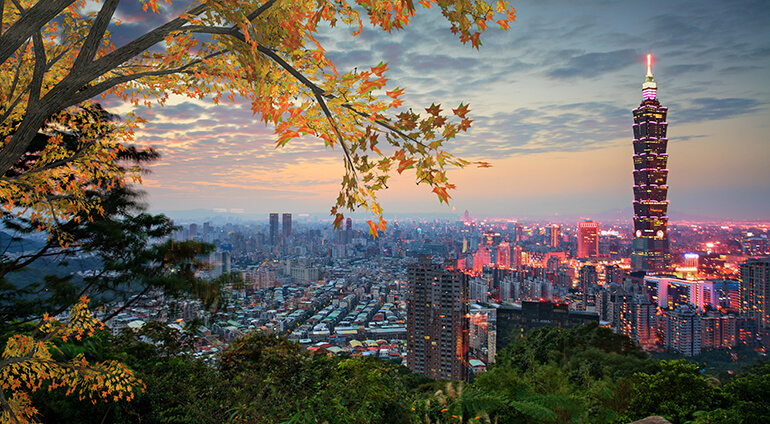 Taipei is a fascinating holiday destination for those looking for multicultural city. This 300 year old city is packed with many delights for those passing through, including a vibrant mix of different restaurants and bars, bustling markets and towering skyscrapers set not too far from mighty mountains. Fly from Sydney to Taipei in under ten hours. We offer flights to Taipei from a range of different Australian airports. Book flights to Taipei online today with Globehunters - we offer excellent prices on flights to Taiwan.